When will be Wild Arms: TV next episode air date? Is Wild Arms: TV renewed or cancelled? Where to countdown Wild Arms: TV air dates? Is Wild Arms: TV worth watching? 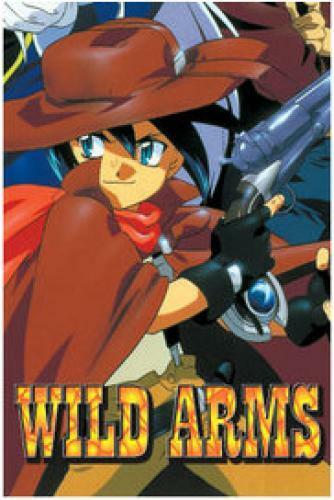 Wild Arms tells the tales of Sheyenne Rainstorm, a deadly gunslinger trapped in the body of a 10-year old boy. Together with bandit Doctor named Kiel Aronakus, two treasure hunting theives; card-throwing dame Loretta Oratorio, vampire girl Mirabelle Graceland. Accompanied by two weird creature named Jerusha and Isaac, Sheyenne embarks on a long journey to find out about his lost past as a member of the Evil Race and the search for his original body. EpisoDate.com is your TV show guide to Countdown Wild Arms: TV Episode Air Dates and to stay in touch with Wild Arms: TV next episode Air Date and your others favorite TV Shows. Add the shows you like to a "Watchlist" and let the site take it from there.